Here at Stephen Waldron Architects, we don’t just design buildings, we solve design-based construction, repair and maintenance problems that face owners of every type of property. Because of our extensive experience that stretches across 40 years, we are able to put a repair into a strategic perspective. We solve the specific problem and help our clients to understand the impacts and knock-on effects in a ‘holistic’ way. Thus, we avoid ‘double-handling’ – clients dealing with one problem, on to find out later that apparently unrelated issues could all have been resolved at the same time – much more efficiently and without the repeated disruption! 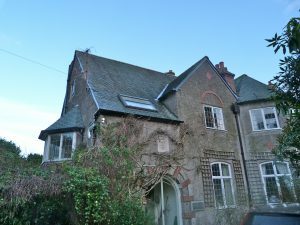 One such example was Andrew and Rachel Huntley’s large Edwardian house in Great Malvern, Worcestershire. 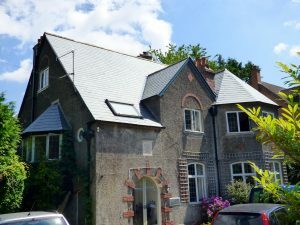 They wanted to convert and enlarge their attic space to provide better accommodation. 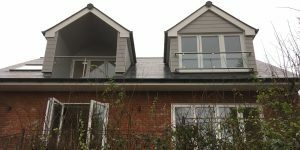 Stephen Waldron Architects were commissioned for this, but encouraged them to look at a wider brief, whereby we looked at the roof, timber and insulation issues and arranged the selection of suitable contractors for what we found. 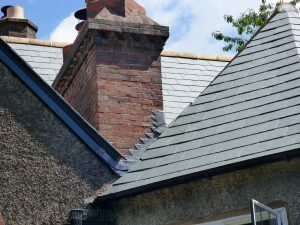 It was found that the entire roof needed re-slating, with extensive lead work and repairs to chimneys. A range of insulation solutions would also greatly reduce their large heating bill. 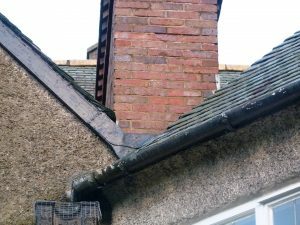 We spoke to local, expert lead workers and roofers and tendered the work – selecting and appointing the best team to carry out the work on behalf of the Huntleys. 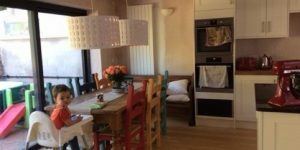 Costing over £50K, the work was a significant investment and it was carried out by the best time, in one contract, leaving a highly satisfied client. If you have any concerns about your property, talk to Stephen Waldron Architects about how we can help by providing a design-based best practice solution for you. ← Creating long term value in your property – change the way you think.